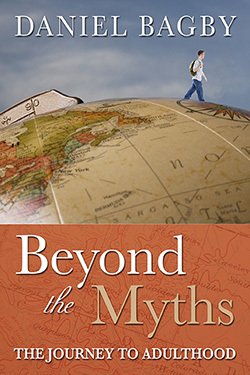 Author and professor Daniel Bagby’s latest book, Beyond The Myths: The Journey To Adulthood, addresses some of the unique challenges confronting today’s emerging young adult. Exploring that gray area between adolescence and adulthood, the book identifies their unique struggles in regard to personal identity, sexuality, intimacy, vocation, personal choice, and spiritual definition. The book further explores pastoral care options for “would-be adults” as they experience the challenges of confusing options, unclear identities, dysfunctional family messages, vocational choices, and spiritual winters on their way to full adulthood. Dan Bagby is the Theodore F. Adams Professor of Pastoral Care at the Baptist Theological Seminary at Richmond. He has pastored for almost thirty years, served in two pastoral counseling centers, and as chaplain to a juvenile detention center and a women's prison. He is also the author of Crisis Ministry: A Handbook. Dan Bagby is one of the most insightful pastoral leaders around. This recent work continues to reflect his sensitivity and goodness. Beyond the Myths clarifies some of the mystique of “growing up” and helps church leaders everywhere read for information and transformation. The stories, insights, and lessons provide practical ideas for ministry to this “next” generation! Today’s twenty and thirty year olds in America are struggling to grow up. PASSPORT has worked alongside college and seminary students for over a decade now, offering them a safe place to test their maturing skill set. We constantly hear the age old, brand new questions like, “What should I do with my life?” In this book, Dan Bagby has provided a road map for this group that is full of wisdom, insight and practical suggestions on how they can grow into mature, caring and spiritually minded adults. President and Co-founder of Passport, Inc. Through his pastoral care lens, Bagby steps into the mind of the late adolescent and challenges the myths that keep them from reaching full adulthood. He blesses both the individual and the faith community to assist the young adult to grow into the creation that God intended. This is a wonderful resource for ministry with an often neglected segment of the church population.